More than 250 of the most important grain and oilseed importers from Southeast Asia attended the the joint buyers conference with USGC, the U.S. Soybean Export Council (USSEC) and the U.S. Department of Agriculture’s Foreign Agricultural Service (USDA’s FAS). 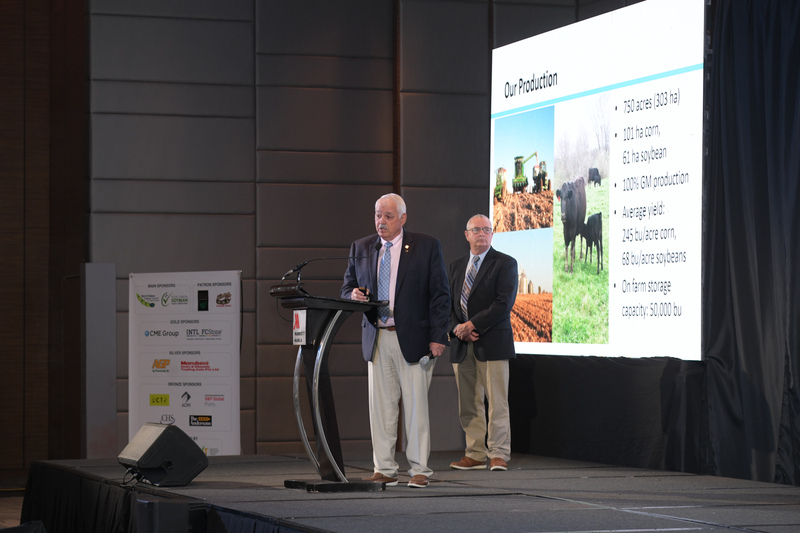 Two U.S. farmers presented on U.S. corn production in aggregate and highlighted their respective operations during a regional buyers conference in Manila. Pictured: Tom Mueller, corn sector director on the USGC Board of Directors and member of the Illinois Corn Marketing Board, and Larry Klever, member of the USGC Asia Advisory Team and past president of the Iowa Corn Promotion Board. 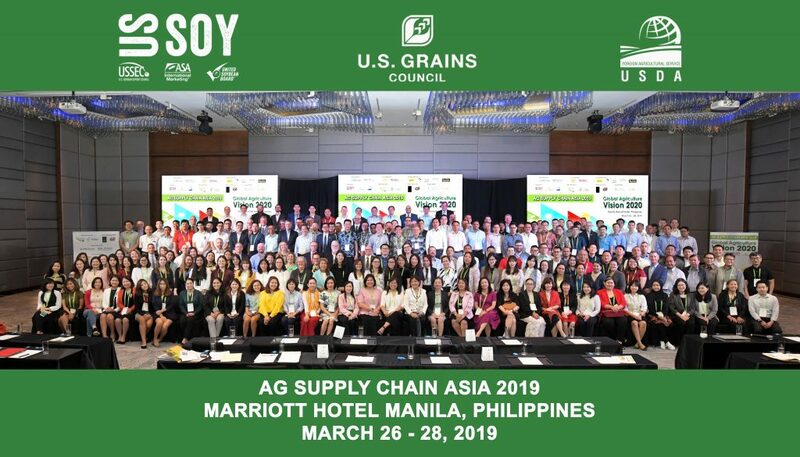 More than one million metric tons of corn and dried distiller’s grains with solubles (DDGS) were contracted last week during the Ag Supply Chain Asia 2019 (ASCA19) conference in the Philippines, part of the U.S. Grains Council (USGC) strategy to defend established markets while identifying new opportunities throughout the Southeast Asia region. The Council co-hosted the joint buyers conference with the U.S. Soybean Export Council (USSEC) and the U.S. Department of Agriculture’s Foreign Agricultural Service (USDA’s FAS). More than 250 of the most important grain and oilseed importers from Southeast Asia gathered in Manila to discuss current market dynamics, the Chinese market, the African Swine Fever situation as well as the grain supply and demand, U.S.-Southeast Asia trade policy and big data in agriculture.